found by adding up the 2 previous numbers. See image below. Incredibly. 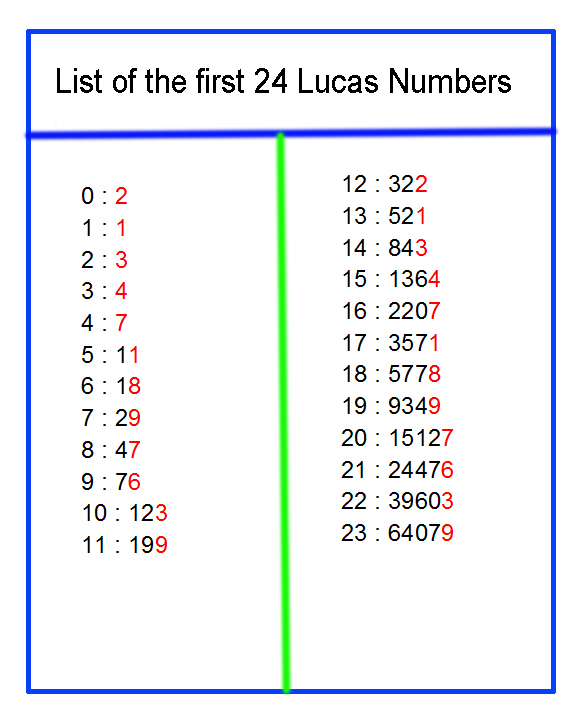 The Lucas Numbers also form an end digit repeating pattern. This pattern is 12 digits long and also repeats into infinity. We use 60 digits on our clocks and we have 12 hours on a clock face. 12 hours of night and 12 hours of day = 24 hours a day. 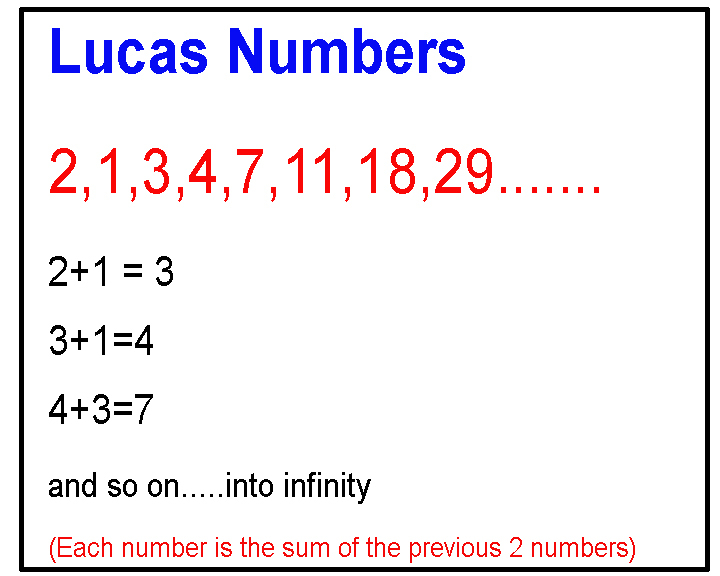 a Facebook friend – Rhuben Neal – for noticing the Lucas Numbers in this key and for contacting me to point them out. See image. 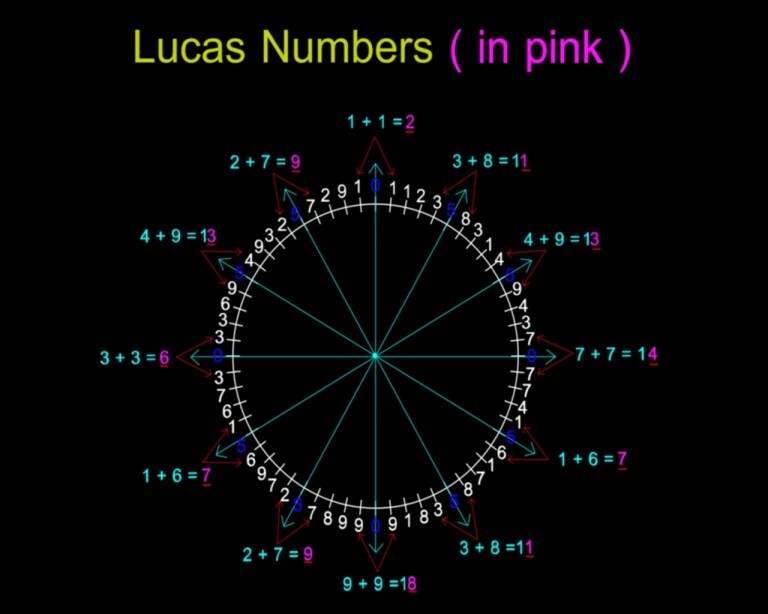 Fibonacci Numbers, All Prime Numbers and All Lucas Numbers by random chance. This is mathematical perfection beyond human capability. Here is a YouTube video summing all of this up. This is a tribute to the late Stephen Hawking.